JCB are renowned for firsts and the JCB Robot is yet another, the only skid steer machine on the market today which uses a single power boom and side door access, giving the machine class leading safety, comfort, visibility, serviceability and efficient work space than other traditional skid steer loaders. Another first for JCB and JCB Robot Skid Steers is the all new Teleskid a unique machine with endless possibilities. The new JCB Teleskid is the first skid steer with a telescopic boom, making it the most versatile machine ever seen. It can reach higher, further and deeper than any other skid steer on the market and can access areas you wouldn’t have thought possible. Oliver Landpower Ltd have had over 30 years’ experience with the JCB product, contact us to discuss your application and requirements and we will tailor a machine specification, attachments, Finance through JCB Finance and aftersales package to match. 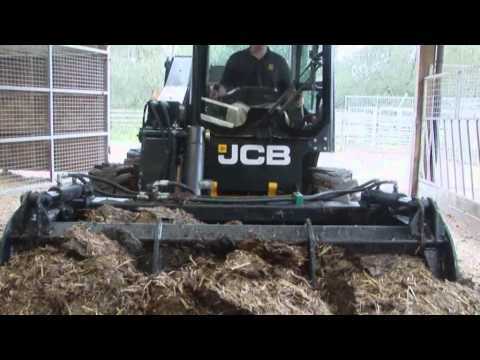 Demonstration machines are available to see for your-self why JCB is number 1.